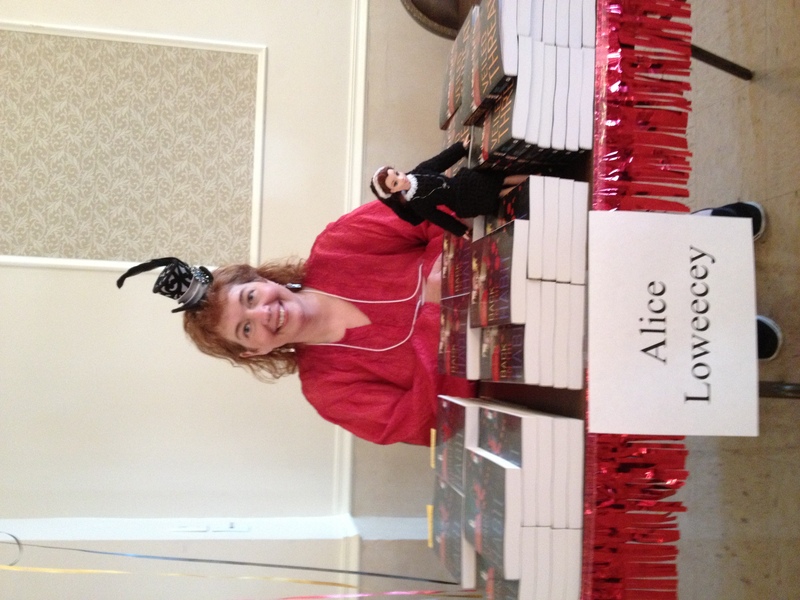 Baker of brownies and tormenter of characters, Alice Loweecey recently celebrated her thirtieth year outside the convent. She grew up watching Hammer horror films and Scooby-Doo mysteries, which explains a whole lot. When she’s not creating trouble for her sleuth Giulia Driscoll or inspiring nightmares as her alter-ego Kate Morgan, she can be found growing her own vegetables (in summer) and cooking with them (the rest of the year). Her mascot is a handmade nun doll that will only creep you out if you have a guilty conscience. See? She’s looks perfectly sweet and innocent.